After Saya's mother is sent to an immigration detention center, Saya finds comfort in listening to her mother's warm greeting on their answering machine. To ease the distance between them while she's in jail, Mama begins sending Saya bedtime stories inspired by Haitian folklore on cassette tape. Moved by her mother's tales and her father's attempts to reunite their family, Saya writes a story of her own -- one that just might bring her mother home for good. 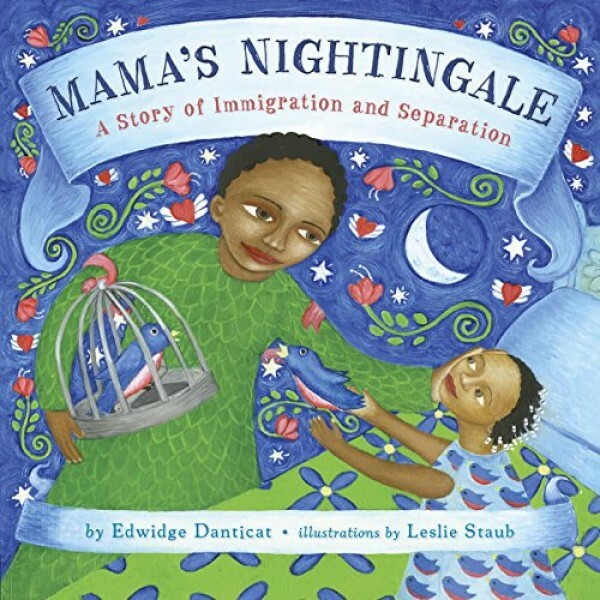 With stirring illustrations, this tender tale shows the human side of immigration and imprisonment -- and shows how every child has the power to make a difference.